If you’ve ever been to yoga class, you sometimes hear the teacher say that the exercises you do on your yoga mat are just stretches… The real yoga happens off the mat. Tarot is like that, too. You can make Tarot a part of your everyday life without clutching your cards 24/7. Sure, doing a Tarot reading on a specific question will get you some new insights and answers. But, it’s how you relate with Tarot – and your intuition – every day that matters most. 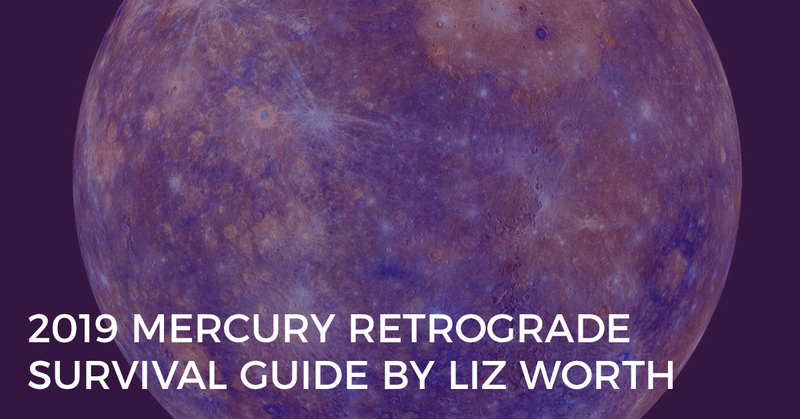 We think Tarot is all about using spreads and doing readings. But really, Tarot is a tool that helps you listen to and trust your intuition, every single day. And when you discover how to fully trust your intuition, you discover how to create a life that is more intentional, inspiring and joyful. That’s why connecting with your Tarot cards daily creates a beautiful, sacred space to also connect with your intuition and your inner wisdom. Whether you’re doing this with Tarot cards, crystals, journaling, meditation, or something entirely different doesn’t matter. The important thing is that you’re making the time to go within and listen. That’s where the answers are and that’s how you can begin to create a fulfilling, purposeful life. 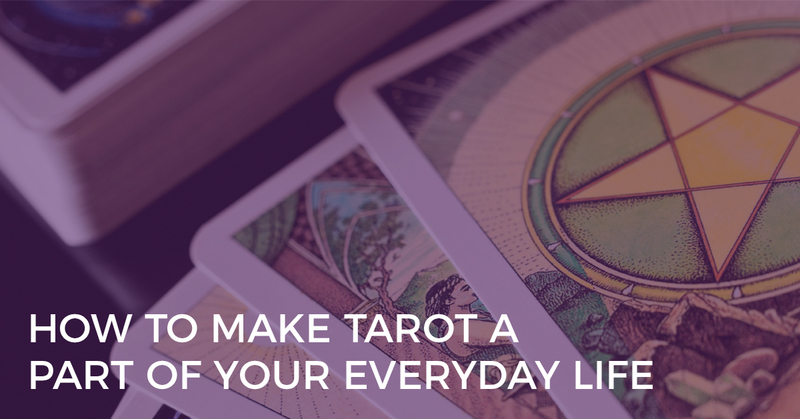 And the best part is that making Tarot a part of your everyday life doesn’t have to be a lengthy, drawn-out process. In fact, sometimes all you need is a couple of minutes out of your day to draw a Tarot card and reconnect with your inner wisdom to find peace again. 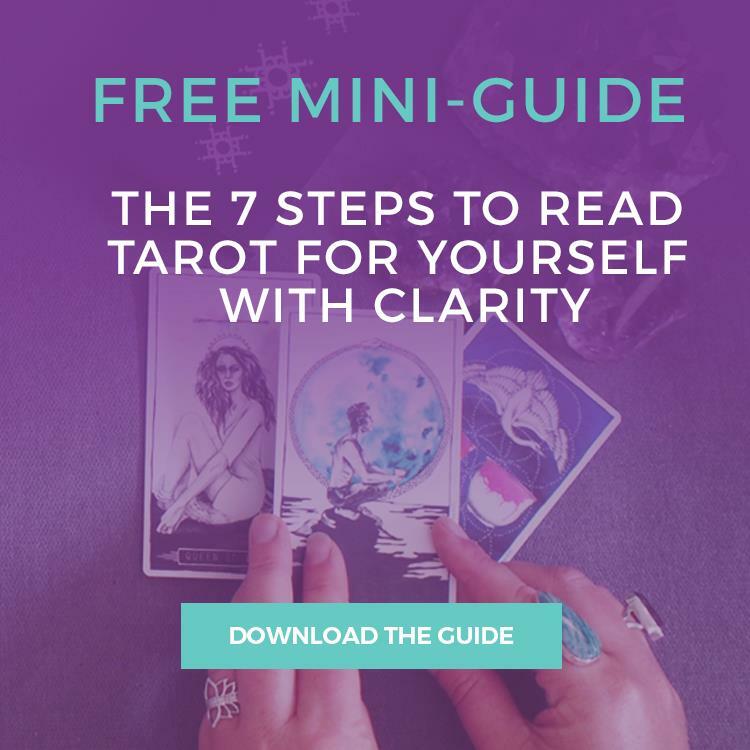 Here are three quick ways you can connect with the Tarot – and your intuition – anytime, anywhere. At the start of the day, shuffle your Tarot deck and ask, “What do I need to know today?” Draw a Tarot card, and then connect with what it means for you. Go about your day, keeping in mind the message of the card you drew. You may find it serves as helpful advice, a warning, or a reminder of who you really want to be. For example, the Page of Cups may advise you to stay curious throughout the day, and to explore new creative opportunities that allow you to express yourself more fully. At the end of the day, reflect on how the Tarot card’s message supported you and what you learned along the way. Anytime you feel a little frazzled, unfocused, emotional, or confused, take a moment to ground yourself with a Tarot card. First, take in a couple of deep breaths and become aware of the seat beneath you. Feel the weight of your body on the chair and your feet on the ground connecting you to the earth. The intention of this card is not to determine why you’re feeling this way or how you can fix the situation. It is simply to refocus you on the present moment and allow you to become more mindful of your current circumstance. The Higher Self Hotline is perfect when you’re faced with a difficult decision, dealing with a challenging person, or you just want to dial in your intuition on an important matter but don’t want to do a full Tarot reading. Take in a deep breath to clear your mind, and then draw one Tarot card from the deck, asking for guidance for your particular situation. Reflect on the card’s message and combine it with your intuitive feel for the situation for extra guidance. Then, choose one action you will take to bring about a resolution to your problem. The more you bring Tarot into your everyday life, the stronger your connection will be to your intuition and your Higher Self. And from there, beautiful things will grow. P.S. If you loved these ideas to connect with Tarot everyday, then you are going to LOVE my latest book, Everyday Tarot: Unlock Your Inner Wisdom and Manifest Your Future. It is filled with practical, everyday ways to connect with your Divine Self, using the Tarot cards as your guide. It’s available now – click here to order your copy.